Abu Dhabi, UAE – 16 January 2019: The Emirates Nuclear Corporation (ENEC) and its subsidiaries, the Nawah Energy Company and Barakah One Company, are participating for the seventh year in the World Future Energy Summit (WFES) 2019 as partners, sponsors and exhibitors. WFES is part of Abu Dhabi Sustainability Week, a unique and wide-ranging sustainability gathering that brings together local UAE leadership and industry experts, with world leaders and policy makers in sustainable energy generation. The event is held under the patronage of His Highness Sheikh Mohamed bin Zayed Al Nahyan, Crown Prince of Abu Dhabi and Deputy Supreme Commander of the UAE Armed Forces. A delegation from ENEC, including H.E. Eng. 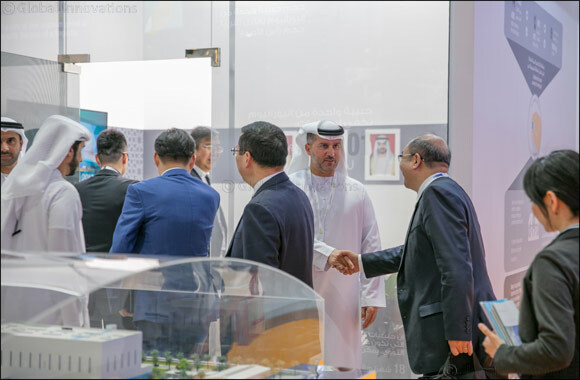 Mohamed Al Hammadi, Chief Executive Officer of ENEC, attended the opening of the summit, and showed distinguished guests around ENEC’s exhibition booth, which showcases how nuclear energy is one of the safest and cleanest ways to produce large volumes of continuous and reliable electricity. “The UAE Peaceful Nuclear Energy Program is of long-term strategic importance to the UAE as it contributes to the social and economic growth and prosperity of the nation. Furthermore, once fully operational, the Barakah Nuclear Energy Plant will help to mitigate climate change by preventing the release of more than 21 million tons of greenhouse gas every year,” concluded Al Hammadi. ENEC is leading the development of the UAE Peaceful Nuclear Energy Program and the construction of the Barakah Nuclear Energy Plant in the Al Dhafra region of Abu Dhabi. ENEC is committed to operating sustainably and has outlined its commitment to operating in an environmentally conscious manner in its Barakah Environment and Sustainability Charter, an agreement co-signed by ENEC and its prime contractor and joint venture partner, the Korea Electric Power Corporation (KEPCO). The charter sets out a series of obligations for both parties to ensure that environmental protection, habitat preservation, water and energy conservation, and sustainable waste management best practices are consistently applied. This year, Abu Dhabi Sustainability week is taking place from 14-17 January 2019 at the Abu Dhabi National Exhibition Center and, together with WFES, is the Middle East’s leading sustainability event and the largest gathering on future energy trends. It drives actionable solutions to the world’s energy challenges.